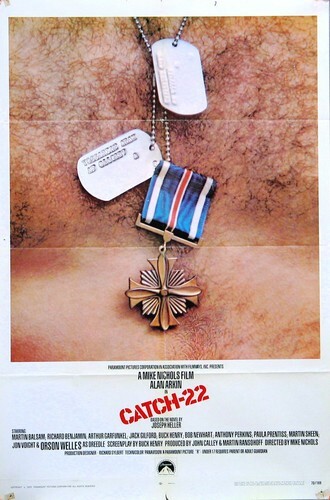 Okay, I didn’t have time today to feature any impressive movie poster artists — so I’m back on the body parts theme (although you can’t see an innie or outie on Catch 22 with that thicket of hair)! You’d think Hollywood would have made a classic Spring Break movie by now — but the results have been mixed. At least the posters are pretty! And now Moviegoods is paying tribute to the college party season.